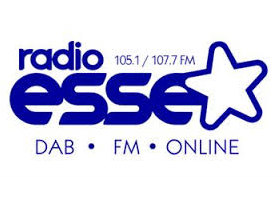 RADIO IN BRIEF | DAB station Radio Essex is launching on FM today. The station launched in 2013 on the local DAB multiplex for Essex and simulcast the output of FM stations Southend Radio and Chelmsford Radio, which in turned shared their output. Owners Adventure Radio are now simplifying things by replacing Southend Radio and Chelmsford Radio with Radio Essex and having just the one brand for Essex. Premier Christian Radio is to remain on DAB digital radio after Arqiva and the radio station agreed a new carriage contract. The future of the service on DAB was recently raised in Parliament, after the station went public about its DAB carriage issues. Premier remains on national commercial DAB multiplex Digital One, but is scheduled to launch on the new second commercial multiplex "Digital 2" next year - it's listed as a launch station on both rival applications for the licence to run the second multiplex, however Digital 2 coverage will be considerably lower than the current availability on Digital One. Andrew Scott, the BBC's General Manager, Audience Facing Services, Future Media has stepped into the ongoing fury between some internet radio listeners and the corporation following changes to the way the BBC delivers its online radio streams in February, reported by a516digital last month. "We have seen a number of issues reported recently where some devices are reporting errors when users try to access Podcasts. The devices in question are perfectly capable of consuming the MP3 Podcast files, we are creating the MP3 files in the same format as before, and the information about the Podcasts is still being published in the same format as before, so at this stage we are working with the manufacturers to get to the bottom of this problem and how best to resolve it." "We have no plans to release the stream URLs because we know that we are going to have to change them at some point in the future and need to be able to manage the changes."